Advance Kiting Clinic | Paragliding Courses - Temple Pilots. This is the course that will give you complete freedom from nervous & dicey take offs. We take you through the 'six stages' of kiting in both reverse & alpine styles. The focus is on understanding glider behaviour in different wind conditions and have complete control on your wing once you decide to open it & launch - your First Solo Flight. 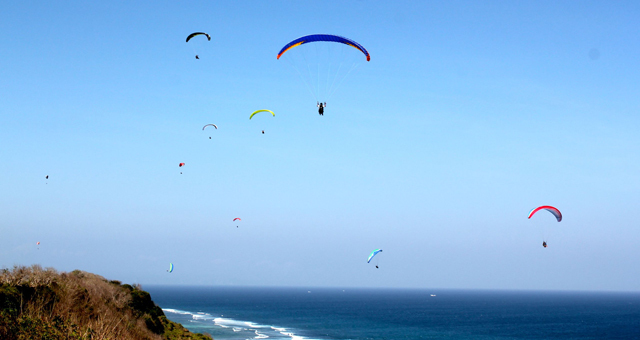 It is a 4-session Course to give you more control and confidence on your glider. This training clinic is recommended for all pilots of all levels and especially for less experienced low airtime pilots and those that have had a long gap in their flying. This clinic will update you with the latest techniques of launching in addition to improving your glider handling skills to a great extent. The Advance Kiting Clinic will take you through the six levels of Reverse and Forward Kiting. 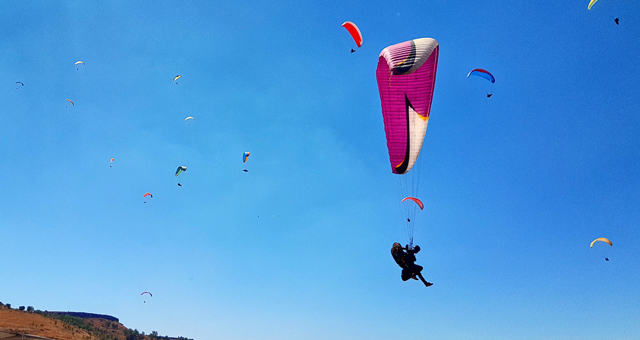 You will also be kiting on gliders especially designed for kiting in strong conditions which become very sensitive and demand quick responsiveness. Training with different wings in variable conditions will help the pilot to better understand his /her glider behaviour and greatly improve one’s canopy handling skills. It will further improve pilots. Active Piloting Skills and update him or her with the latest launch techniques. It will also familiarise the pilot with strong wind procedure and make him or her more confident and at ease on take-offs. Where do I reach at the end of the course... What Next? 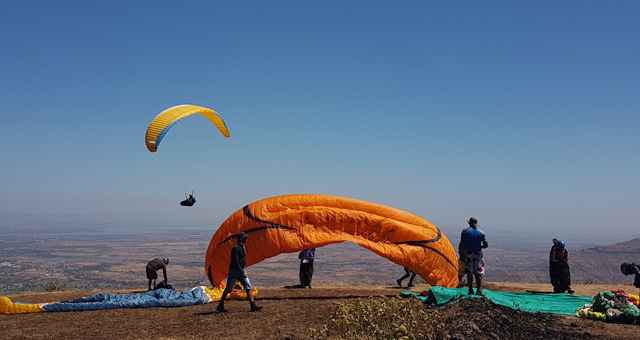 Sagar and Strong wind - Ground Handling - Temple Pilots Paragliding, Kamshet Maharashtra.